Half term can fill some people with fear. How do you keep children entertained for a week and within budget? Sometimes it can get a little too much and trips to soft play centres, days out and new toys can all add up to a very expensive week. 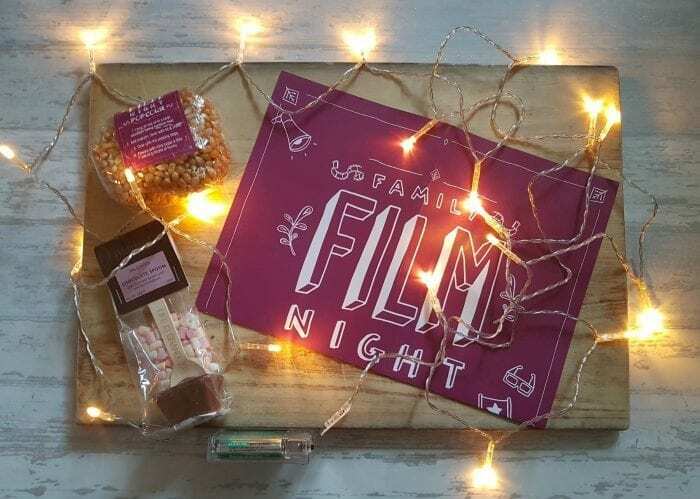 However, Plusnet wanted to prove that sometimes the best half term days are those that are spent in the comfort of your own home, with little expense spared as part of their #HalfTermHygge campaign! Having spent a large part of the week being out and about with friends at soft play centres, on dog walks, at a Ninja Warrior style event and several restaurant reviews… it was actually really nice to spend a day in the house doing absolutely nothing! Hygge (pronounced H-o-o-g-a) is a Danish word that refers to people getting together and being cosy and content. My idea of bliss in all fairness, there is nothing better than cwtching up on the sofa with a blanket and cup of tea! For myself and Mini Me, building a den and watching a family film together was the perfect family hygge activity for us and was certainly much needed during a hectic week! Armed with hot chocolate and marshmallows and den decorations including fairy lights and garland courtesy of Plusnet, we set to work building a comfy den. Who knew an exercise bike could actually be the perfect den prop? Turns out the bike was, however the den in the place it was meant the dog had to travel a little further to the lounge. By the time she made it, all she wanted to do was sleep! The perfect den companion! Unfortunately there was not enough space for myself in the den… so I commandeered the couch with a blanket and we watched The Goonies together, for the zillionth time! It really does not matter how many times you have watched the film, it does get better each time! We did receive a recipe card for Danish Butter Biscuits to enjoy on our Half Term Hygge day, however I was a little lazy about this having just made a carrot cake the day before. Instead we enjoyed Danish Butter Biscuits that I rather randomly had in the cupboard anyway! Perfect! If you fancy making the Danish Biscuits yourself, check out the recipe on Plusnet’s Half Term Hygge page! It was the greatest chill-out day and I did allow for the den to be up a little longer than I should as it did look so comfy and Mini Me was in her element. However, fear not as the dog is able to travel her usual route into the lounge and I have my exercise bike back! What is your interpretation of Hygge and what would be your ideal Hygge day?